I’m going to be completely honest and tell you that I have a major design crush on today’s SDICM vendor. I guarantee that you will become admirers too, just take a look at their lovelies! We’re dealing with a dynamic duo today, Two Shabby Sisters! Please tell us who you are and what you do? We are Jennifer Ciani and Morgan Olinger, best friends (more like ‘sisters’), military wives and stay-at-home mommies, who share the same passion for giving new life to old vintage furniture finds and creating unique shabby chic home decor. What types of lovelies do you make? A little bit of everything! We started our company out refinishing and repuropsing vintage furniture and giving it new life but have now expanded to offer a variety of products, from hand painted custom signs to hand sewn burp cloths, diaper cakes, lampshades, message/ memo boards, picture frames… You name it, we probably make it! Not only do they “make” it, they make it extremely well, I want to live in a world of their creations! Since you are so diverse do you still have a single favorite material? We solely use chalk paint on all of our hand painted products and furniture pieces. We love choosing materials that are natural and eco-friendly. So what and/or who is the inspiration behind your creativity? Jennifer: My inspiration first and foremost comes from my great-grandfather, who from as far back as I can remember pushed me to follow my creativity. As a young man, he landed a job as a window display artist for Sears department store, along with hand painting signs for their store displays. He had to leave his career to serve in WWII, but eventually returned to the job that he loved. He instilled in me that nothing can come between you and the passion that you have to create. He pushed me to share my talent with the ‘world’. My second inspiration is my grandmother, who is now 84 and still full of life and creativity! She noticed my creativity from a young age and encouraged me to create. She took me to countless craft and street fairs as a little girl. It was my dream to one day be one of those “crafty ladies” with my own booth! And lastly, the biggest inspiration in my life is my Mother. She not only was my biggest cheerleader, she taught me everything that I know. She kept a spotless ‘model home’ worthy house, she could sew just about anything and juggled raising two children while running a business from home. She did it all. Unfortunately, I lost my mother to lung cancer in late 2011 while I was pregnant with my Daughter. It is because of her guidance, encouragement and example that I have followed my dreams! Morgan: My inspiration comes my grandfather and grandmother. As a child, I grew up watching my grandmother sew and create crafts for her church craft fairs. My mother is another huge inspiration to me, watching her re-create old “junk” into one of a kind treasures thanks to all of my dad’s FREE ally scores! As he says, “The only trash there is, is something that the earth can absorb. Everything else can be recycled into something new.” Creativity runs in my blood! It’s obvious that both of these ladies were born into families that fostered and championed their creativity. And even as an outsider, I’m confident that their families must be so proud of their talents and willingness to put that creativity to use! Back to the topic at hand. Would you like to share your five favorite products with us? And finally, where can the good people find you on social media, Etsy, and other sites? 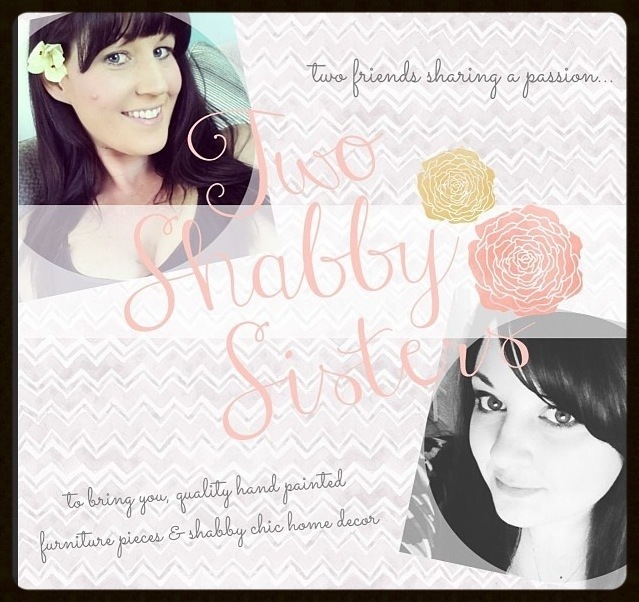 Needless to say, I’m a giant fan of Two Shabby Sisters and hope that you now are too. Make sure to stop by the San Diego Indie Craft Market on 6/23 and say hello to Jennifer and Morgan! Click here for info: https://www.facebook.com/events/366212010146804/?fref=ts. If you follow them on Instagram you’ll get a sneak peak of the goodies that will be accompanying them to the SDICM!